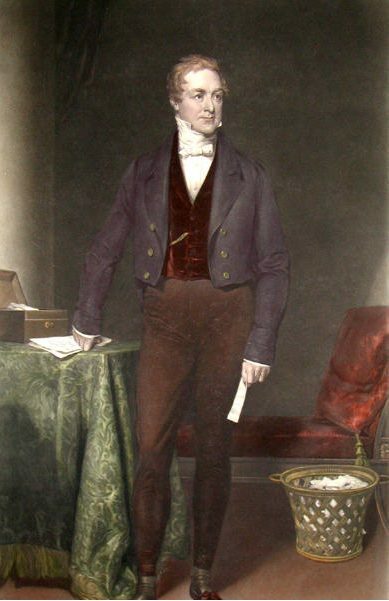 Sir Robert Peel, 2nd Baronet (5 February 1788 – 2 July 1850) born in Bury, Lancashire, England introduced the first professional police force in 1829. On 29 September 1800, John Stenhouse was appointed Master of Police. He set about organising and recruiting the force. He appointed three sergeants and six police constables. They oversaw. 68 unpaid citizen police officers or watchmen who wore long brown coats with their personal numbers painted on their backs. Each carried a lantern and long stave. 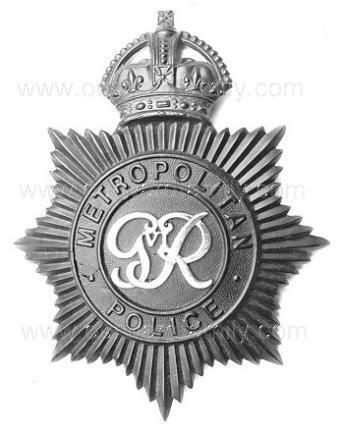 Robert Peel introduced the Metropolitan Police Act of 1829 and set up an organised police force for London, with 17 divisions, each with 4 inspectors and 144 constables. 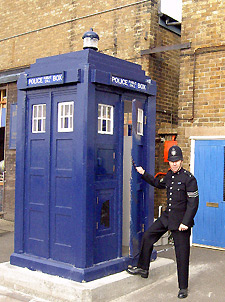 It was to be controlled from Scotland Yard, and answerable to the Home Secretary. 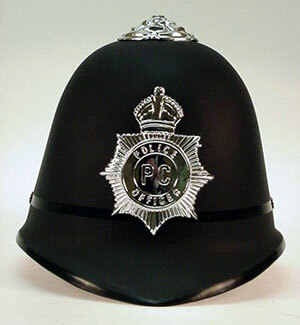 Sir Robert Peel had already established the Royal Irish Constabulary in 1812, and it had proved to be a great success. They became known as Peelers and Bobbies after their founder, and wore a dark blue 'long coat' and a 'tall hat' which they could use to stand on to look over walls, a pair of 'handcuffs' and a 'wooden rattle' to raise the alarm. By the 1880s this rattle was replaced by a 'whistle'. Blue was chosen because it was the colour of the popular Royal Navy rather than red which was the army's colour and struck fear into the people because of the way soldiers had been used to smash protests. The only weapon was a 'truncheon'. The ability of the police to perform their duties is dependent upon public approval of police actions. Police must secure the willing co-operation of the public in voluntary observance of the law to be able to secure and maintain the respect of the public. Police use physical force to the extent necessary to secure observance of the law or to restore order only when the exercise of persuasion, advice and warning is found to be insufficient. Police should always direct their action strictly towards their functions and never appear to usurp the powers of the judiciary.